As driving becomes more automated, is the future connected and autonomous? When it comes to automobiles, and Hollywood’s imagining of the future, reality has almost entirely failed to live up to the hype. While some futuristic ideas have been decidedly far-fetched – think time-travelling DeLorean in Back to the Future – and were never expected to become a reality (certainly not yet, at least), other, more realistic promises have failed to live up to expectations. For instance, the flying cars featured in Bladerunner and Fifth Element, and underwater cars – like the superb looking Lotus Esprit in The Spy Who Loved Me – all have failed to materialise. Okay, there have been – and are – some examples of these general vehicle concepts, but to date, none offer the ease of use and accessibility of those presented by Hollywood. There is though one futuristic representation of automotive technology that is significantly on track to fulfil its Hollywood promise. Examples can be found in blockbuster movies like I, Robot, and Minority Report… The driving technology we refer to is automated assistance, and the subsequent autonomous cars of tomorrow. While at present the futures represented in these two movies is still some distance off – including their portrayal of fully autonomous vehicles and infrastructure – it’s worth noting that many of the technologies required to achieve this future are not only possible today, they’re already commonplace in many modern cars. If you think we’re exagerating, consider this; Drivers of modern BMW or Mercedes-Benz cars, for example, are already benefiting from ADAS – Advanced Driver Assistance Systems technologies, such as Autonomous Emergency Braking (AEB), and Electronic Stability Control (ESC) – developed and manufactured by Continental. If you thought they only made world-leading premium tyres, think again. While it’s true that Continental are primarily known to motorists for their award-winning tyres, it’s not the case in the global automotive sector. In fact, their tyre division accounts for only a small fraction of their overall driver safety technologies – while the Chassis and Safety division is admired around the world for the numerous electronic automotive safety innovations that are integrated into new cars every day. Continental develop and produce active and passive driving safety technologies, as well as products that support vehicle dynamics, all of which have been designed to keep drivers around the world safer. Their Autonomous Emergency Braking (AEB) is an invaluable safety technology that’s designed to monitor traffic conditions in front of the car, and automatically apply the brakes if the driver fails to respond to an emergency situation – such as a possible collision. Data shows that many accidents are a result of late braking, or braking with insufficient force. Thanks to the inclusion of AEB technology, many motorists have managed to avoid potentially life-threatening accidents. Then there’s the evolution of Electronic Stability Control (ESC). This technology has been a part of driving since the mid 1990s, but it’s now moved far beyond the original anti-lock brakes and traction control of yesteryear. Today, in the event of a potential collision, or if a directional correction is required in a potentially dangerous situation, ESC sensors can assist drivers with steering. Continental’s Road Departure Detection has been created to monitor steering angle and vehicle path, and, if necessary, intervene if it senses any inappropriate departure the road. 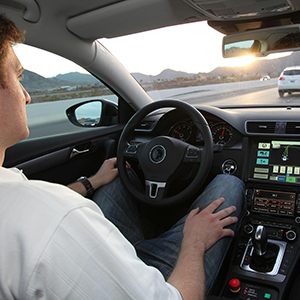 Advanced Driver Assistance Systems (ADAS) not only improve driver safety around the world, but they also deliver significantly enhanced comfort and convenience to motorists, too. UK participants of Continental’s highly popular Vision Zero Live events can testify – from first-hand experience – to the incredible benefits of automated driving technology. 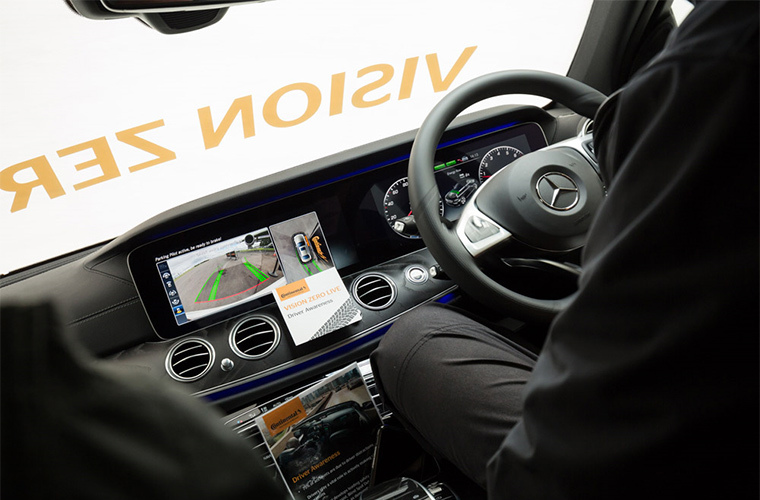 As well as trying Continental’s safety-driven AEB system – hands-free – and ESC system ‘Elk Test’, event participants were also left marvelling at autonomous, automated self-parking technology. 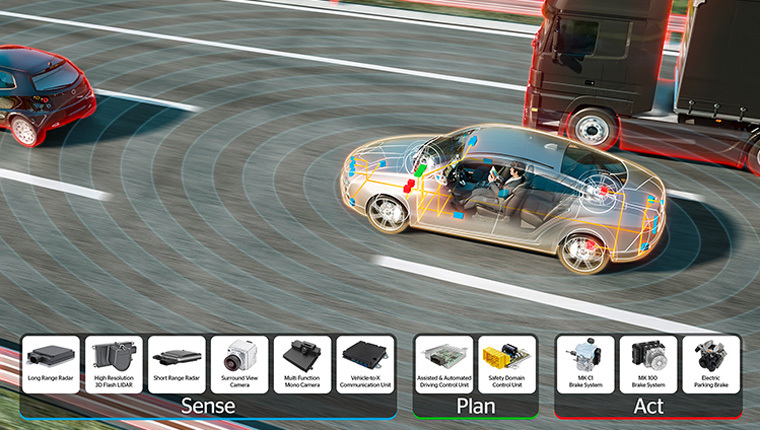 Thanks to a sophisticated array of onboard sensors and cameras – all strategically positioned throughout the exterior of the car – positional data is able to be continuously gathered and updated, allowing for the creation of a 360° virtual map comprising the vehicle, its immediate surroundings, and any subsequent new variables entering this virtual zone. This means that the system’s four cameras and twelve infrared LIDAR sensors are able to map and plot the necessary path for autonomously parking the vehicle. And in the event that a new variable does become a factor – like, for instance, another vehicle, or a cyclist or pedestrian entering the immediate surroundings – then the system automatically compensates, if necessary coming to a full and complete stop – always prioritising human safety first. The examples of automated driving assistance highlighted above represent just some of the current Continental technologies motorists around the world are benefitting from, but looking to the future – a la I, Robot and Minority Report – the technological aim is to offer drivers a fully autonomous driving future. However, as with all significant societal shifts, there is much confusion, misunderstanding and uncertainty around what automated/autonomous driving will result in, or where things stand at present. With this in mind, it’s worth taking a moment to clarify the established definitions that represent the six levels of driving automation. 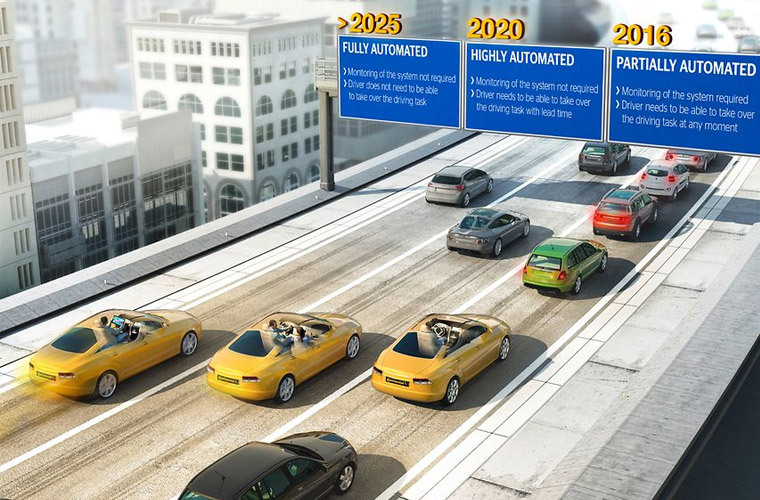 In 2014, the Society of Automotive Engineers (SAE) published their report which identified and defined six levels of driving automation, ranging from zero automation (Level 0) to complete, full-on automation (Level 5). The definitions, below, are reproduced from a March 2015 report that was commissioned by the Society of Motor Manufacturers and Traders (SMMT), Connected and Autonomous Vehicles: The UK Economic Opportunity, and subsequently included in the 2017 House of Lords Science and Technology Select Committee report, Connected and Autonomous Vehicles: The future?. The (human) driver is continuously in control of the speed and direction of the vehicle. There is no intervening vehicle system active. The driver continuously performs one or other of the longitudinal or lateral dynamic driving task. The other driving task is performed by the assisting system. The driver must monitor the dynamic driving task and the driving environment at all times. The system performs longitudinal and lateral driving task in a defined use case. The driver does not need to monitor the dynamic driving task, nor the driving environment at all times – but must always be in a position to resume control. The system performs longitudinal and lateral driving task in a defined use case. The system recognises its performance limits, and if necessary will request the driver to resume the dynamic driving task – within a sufficient time margin. Driver is not required during defined use case. System performs the lateral and longitudinal dynamic driving task in all situations in a defined use case. The autonomous system performs the lateral and longitudinal dynamic driving task in all situations encountered during the entire journey. No driver is required. Note: Levels of autonomy cover road vehicles only. The journey from Level 0 ‘no automation’ to level 5 ‘fully autonomous’ will not only be determined by government legislation and public opinion, but also by the advancement of current technologies and (as yet unknown) future innovations – both for vehicles and infrastructure. At present, the main focus with autonomous driving – at least for the majority of the public – has been on the vehicles themselves, and the technology that is required to drive safely. But arguably as important – if not more so – is the infrastructure that autonomous driving will depend on. 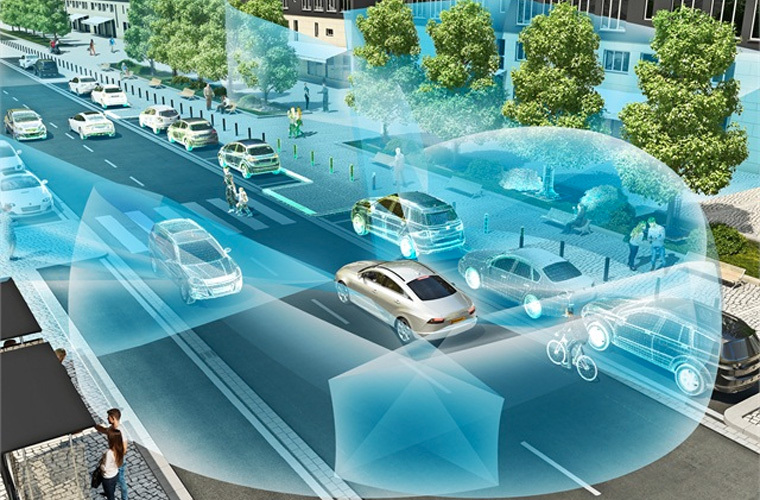 It should come as no surprise to learn that Continental are at the heart of both, endeavouring to connect the two, so as to help ensure a safer, securer, and dependable autonomous driving experience. Continental are developing a varied range of safety technologies and solutions that seamlessly integrate driver, vehicle and infrastructure, in their quest to “Making Mobility a Great Place to Live.” From ADAC to BEE – short for “Balanced Economy and Ecology mobility concept” – to Cellular V2X (5G next-gen connectivity between vehicles and infrastructure) – and beyond – Continental’s experience and expertise is driving the necessary change and innovation required to fully integrate and connect everything together. It should come as no surprise that they’re driving the future. Only Continental knows the entire braking process in every detail – from pedal to tyre – and this experience and expertise will become ever more important as driving transitions to fully autonomous. Previous	As driving becomes more automated, is the future connected and autonomous? Next	As driving becomes more automated, is the future connected and autonomous?